Join Mac and Maya on their first adventure in the Making. It all begins when Mac’s father suddenly finds himself in a dangerous situation. Using only their wits and a few household parts, Mac and Maya race against time to build an emergency flashlight that helps them save the day. 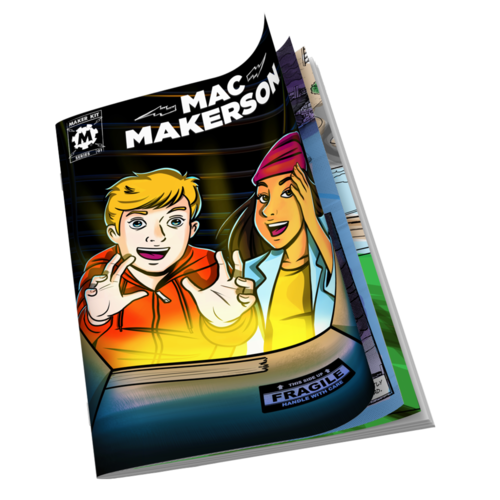 Along the way, they stumble upon the mysterious Makerpedia— and discover there’s more to being a Maker than meets the eye! Read The Adventure. Build the Gadget.